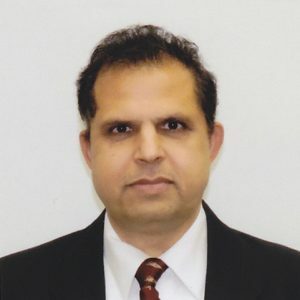 Developing Great Looking iPhone Applications – Brijesh Kumar, Ph.D.
iPhone has totally revolutionized the mobile application development. The real reason is the simplicity of the process by which any one can submit applications to iTunes to monetize their efforts. This has its pros and cons both. Just because everyone can submit an application, there is a flood gate of applications being submitted every week. Not all these applications are well written – some of them suffer from serious architectural flaws and clearly would have become better if the developer has spent a little more about developing mobile applications right way. In this article, I describe some expert advice how to develop great and successful iPhone applications. Everyone has an idea of an iPhone application that will shake the world. An idea no matter how useful has to be implemented well for it to succeed. That’s what experienced mobile application development team can do. They can combine the knowledge of mobile platform, programming skills, good graphics design and great GUI lay out into a great application. On the other hand if you miss on any of the skills – you application will become just one more addition to thousands of applications being submitted to iTunes. Is that’s what you want? The first critical skills that you need is a good iPhone Developer who is proficient in Objective-C. 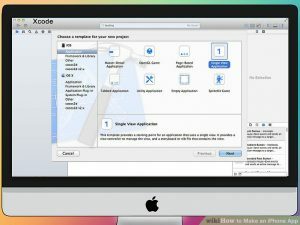 The Objective-C is the programming language for Mac and iPhone applications. The syntax of Objective-C is unique to itself though not hard for anyone with programming experience in Java and C++. However, developing iPhone application is quite different than writing applications for other mobile or desktop platforms. It takes some learning curve to understand iPhone specific development concepts like the GUI “linking”, Interface Builder etc.. Using interface builder, then switching to back to xcode and back and drawing the lines between them takes some time to master. And, that is where an expert developer can make your application look and perform better. For people or company that were earlier involved in creating simple web applications using PHP or .NET or Ruby on Rails etc – designing iPhone applications or for that matter any mobile applications is very difficult transition. Web design applications have a linear flow and the memory management is mostly taken care for them by these languages. Therefore, it is very hard for former web designers to do iPhone applications. Therefore you need an expert team that knows what they are doing. • Focus on An Application’s Goals: Whatever the idea – write down on a paper. What is unique about your application? Does your applications solve a unique problem? Does the application serve a specific niche in the market not previously addressed? Are there existing successful apps that lack significant feature enhancements and you will add those new features? Answering these questions will help designers focus on the key merits of your application. • Who Will Use Your Application: Identify who will use your application. Applications that are geared for children are written very differently then application that are written for the business world. Identifying the market segment and the correct audiences will help designer get the correct look and feel for the applications. Well-designed applications smoothly navigate from screen to screen. Well designed applications organize information in a way that makes it very intuitive for users to use them. Well designed applications do not put too much information on the screen which makes the phone screen too cluttered. Well designed iPhone applications make full use of iPhone’s unique characteristics: the accelerometer, swiping features, pinch, expand and rotate functions. • Actively Promote Your Application: With several thousand applications on iTunes – you need to make your application stand out – not just by design but also with marketing efforts. Any application can sit in the store unnoticed very easily. A proper preparation for application launch can help you avoiding this situation. It is important to develop a market plan for your application. Marketing plan requires multiple strategies. Be ready to experiment, some ideas will work, others won’t. • Work With Your Vendors on the Next Release: Every Application goes through a cycle of development and then enhancements. Try to incorporate feedback from your users and reviewers and then work with your development team to add those features in. Good luck to you. Contact me if you need help.